Biography: Baptist Church began in 1998 with twelve people after intensive door to door and mass evangelism projects. The ministry has continued to grow in their village named Bunzibiridde, and they have purchased land to build a large permanent structure. Joseph tells us, "The village was full of Muslims, drinking and witchcraft, and after prayer people started coming to Christ!" The church has cell groups which meet 3 times a month. They have nursery and children's ministries, with a primary school from nursery to primary six. The church also has a youth program that focuses on discipleship. Joseph and Proscovia understand that evangelism can turn the world to Christ, and they hold door to door and mass crusade evangelism projects six times a year. 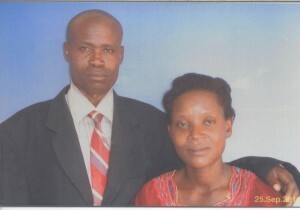 Strengths: Joseph and Proscovia are passionate about evangelism and pastoring.